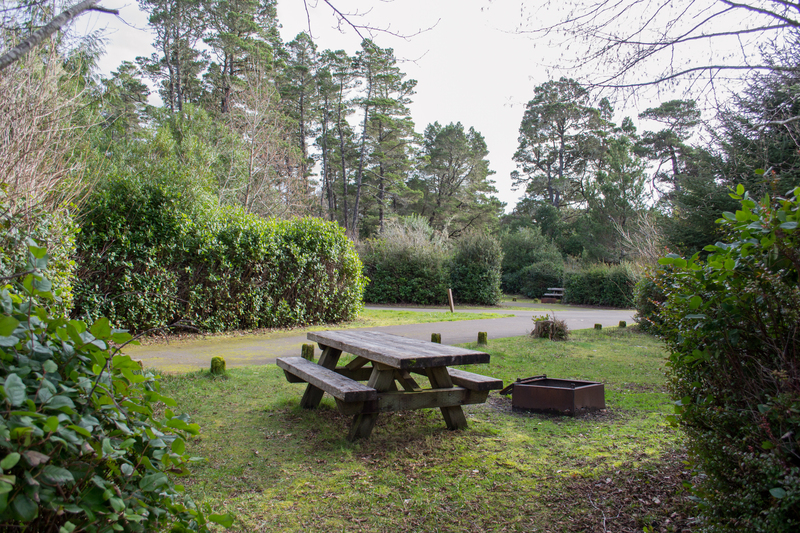 Located within the Oregon Dunes National Recreation Area, Lagoon Campground is a great a home base for exploring the diversity found along the Oregon coast. With hiking trails, beach access and other adventures close by, there’s plenty to keep you busy. The campground consists of 41 sites, nine of which are pull-through sites that can fit a variety of size vehicles (85 feet maximum). Each site has a picnic table and fire ring with a grill. Restroom facilities and potable water are located in the middle of the loop. Starting in the campground, the Lagoon Loop Trail is a perfect spot to look for wildlife including beavers, river otters, ducks, herons and other birds. This short trail borders the campground and can be accessed through two trailheads and even through some campsites. Other hiking trails, beach and dune access, and picnic areas are also located along the Siltcoos Access Road. Note: This area of the Oregon Coast is very popular with off highway vehicles (OHV). It is also home to the protected snowy plovers; help protect these birds by obeying all posted regulations.